The beach, NASCAR, motorcycles. That's what Daytona Beach does. Well, that and a good happy hour in Daytona Beach. Maybe you're looking for a spot to dip your toes in the sand, drink in a Florida sunset, or you're just looking for your own Cheers. Whether you've been vacationing on the beach or had a long day at the office wishing you had spent the day on the beach, we're here to help you find the perfect way to wind down another day in paradise with the best happy hours in Daytona Beach. You get to start off this list when you offer not one, but two happy hours. 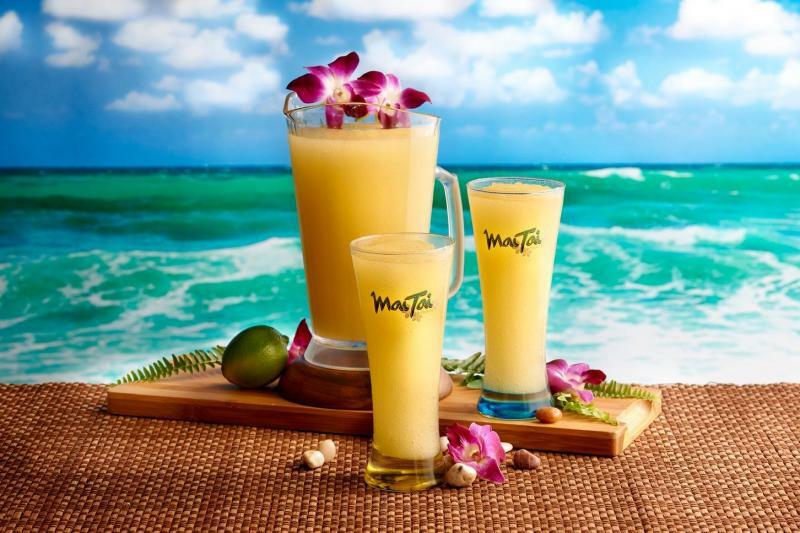 Mai Tai Bar Daytona Beach is located next to the historic Daytona Beach Bandshell and close enough to the ocean to hear the waves crashing during the early happy hour (4 - 7 pm). Later on in the evening, when the live music starts to drown out the ocean, late night happy hour in Daytona heats up (9 pm - 1 am). If you are a fan of beer you can't go wrong with $2.50 pints and $6 pitchers for domestics (Bud, Bud Light, and Hawaiian brewers Kona Longboard Lager and Fire Rock Pale Ale). Or maybe you prefer speciality cocktails? Perfect, they start at $4. About a quarter mile away and just a walk down Daytona's old boardwalk and pier is the world famous Ocean Deck Restaurant & Beach Club. Where you sit, depends on a couple of things 1) how crowded it is and 2) exactly how you want to take in your Daytona Beach evening. Sit upstairs if you want to spend it overlooking the ocean. If you'd rather enjoy the best looking beach bar in town, head downstairs where the wooden bar and tables look like they've been made from shipwrecked vessels. If you're lucky enough, or early enough, you could even grab one of the limited tables outside and feel the ocean breeze on your face. 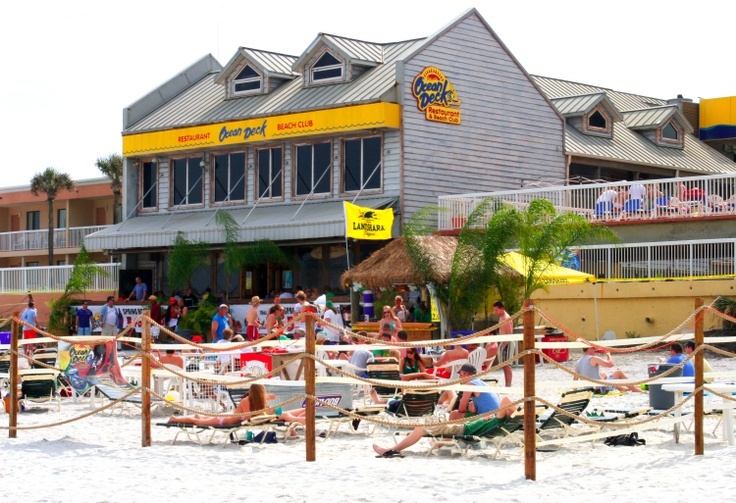 Then there are the Daytona Beach drink specials: $1 off draft beers, double tall well drinks, and a rotating cast of $3 drinks from 4 - 7 pm while you get to enjoy the oldest beach bar in Daytona. Dark, warm, cozy and offering over 180 different beers. McK's Tavern isn't situated on the beach, but it's just off of the Halifax River that separates the peninsula from the mainland on historic Beach Street. Whether you are looking for an authentic Irish pub in Daytona, or to meet up with some friends before a Daytona Tortugas Professional Baseball game (Jackie Robinson Ballpark is across the street), McK's is the place. With $1 off select beers, 2 for 1 well drinks, and $3.50 house wine pours, chances are good that you'll stay a bit longer than the 4 - 7 pm happy hour in Daytona. This one is a little closer to the speedway than to the beach, but don't let that prevent you from stopping in. 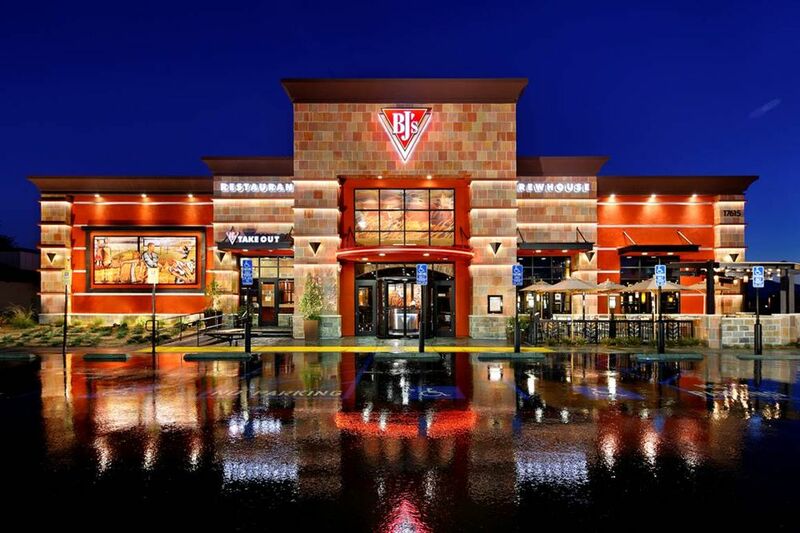 BJ's Restaurant and Brewhouse Daytona Beach happy hour doesn't just run Monday - Friday from 3 -7 pm. The Daytona drink specials extend for every pro football game, as well. This means you could spend most of a Sunday enjoying $3 domestic bottles, $4 handcrafted brews from BJ's, and $5 call drinks and wine. Not a bad Sunday Funday. 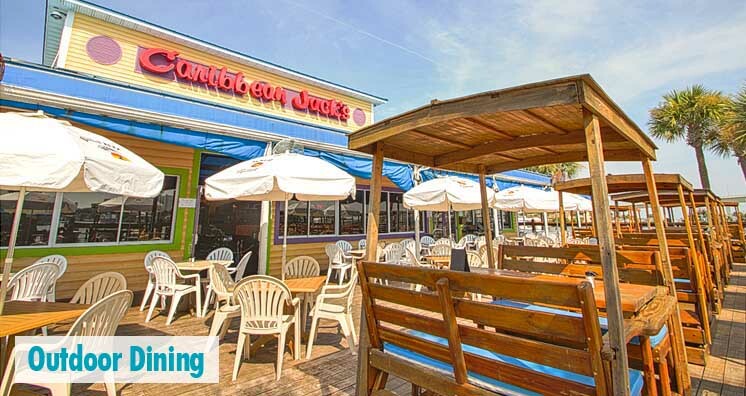 Located on the Halifax River, Caribbean Jack's offers up an excellent outdoor seating area, a place to dock your boat, and best of all, a place to take in the salty air with a margarita. 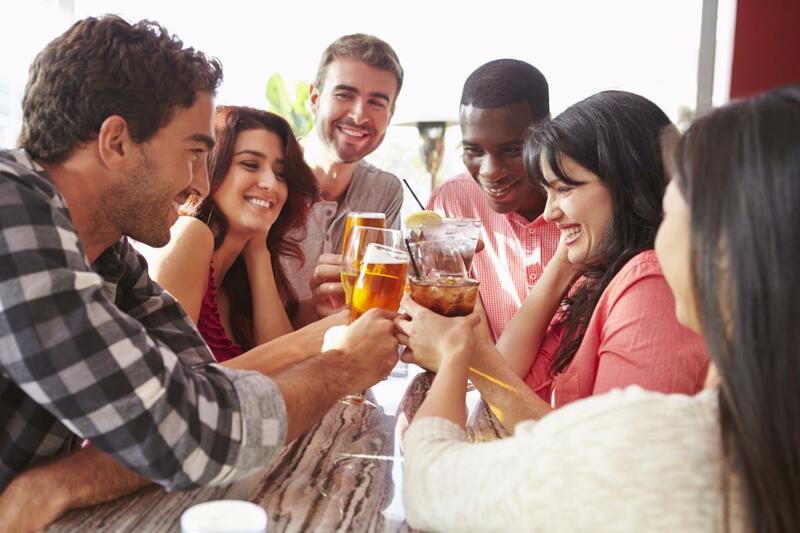 Like most Daytona Beach spots, happy hour runs from 4 - 7 pm, and with a wide variety of seafood and drinks, you'll be sure to leave plenty happy no matter the hour. 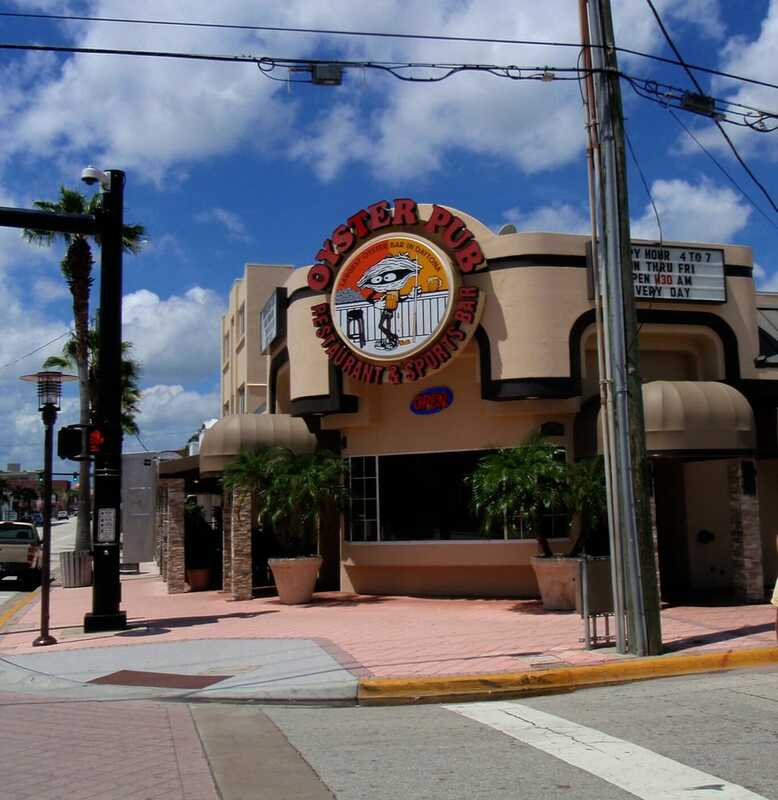 A Daytona Beach staple, The Oyster Pub has been anchoring the entertainment district on Seabreeze Boulevard for decades. If you're looking for a place to start your evening, going with oysters on the half shell at the O Pub is hard to beat. 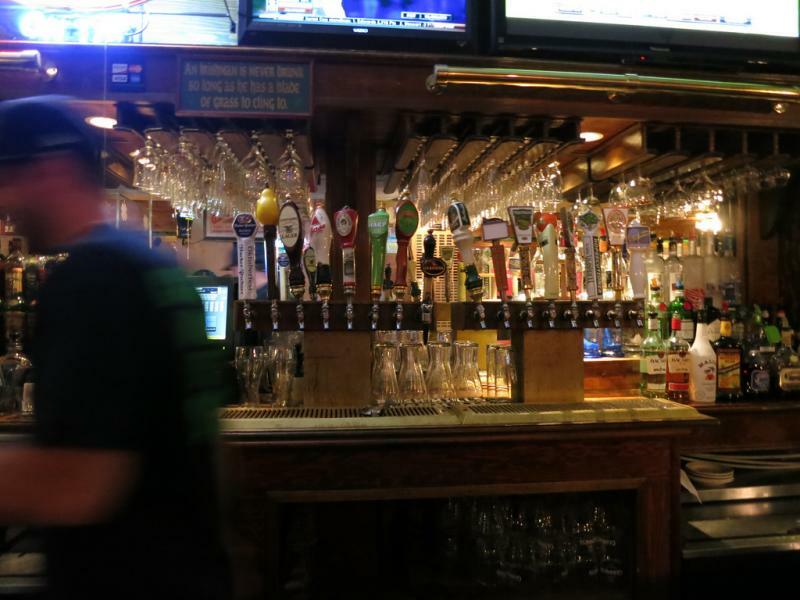 They also carry dozens of beers on tap, a full liquor bar, and plenty of drink specials every night. There's plenty of other bars close by, so the Oyster Pub for happy hour also just so happens to be a great jumping off point for an evening on the town. Located on the historic (and recently renovated) Daytona Beach Pier, Joe's Crab Shack Daytona Beach might have the best location on the list. 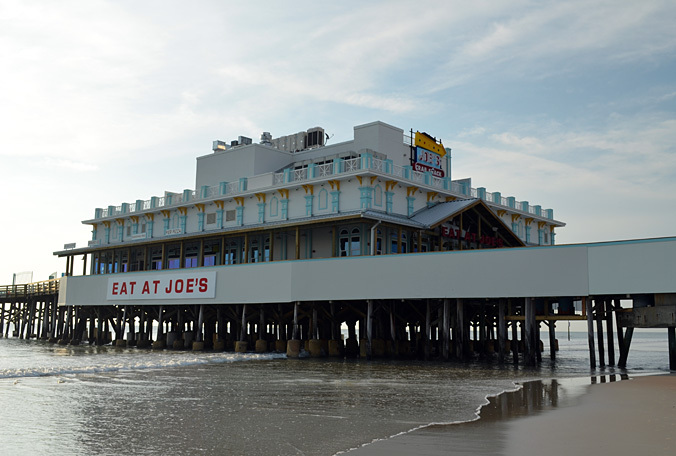 Sitting out on the Atlantic Ocean, Joe's offers an enormous dining room and an open top roof with full food and beverage offerings. Sit outside, but don't forget your sunglasses, and enjoy 16 oz beers, hurricanes, and house margaritas for just $3 from 4 - 7 pm Monday through Friday. The Beach Bucket isn't exactly in Daytona Beach, but it's just north across the city border in Ormond Beach. 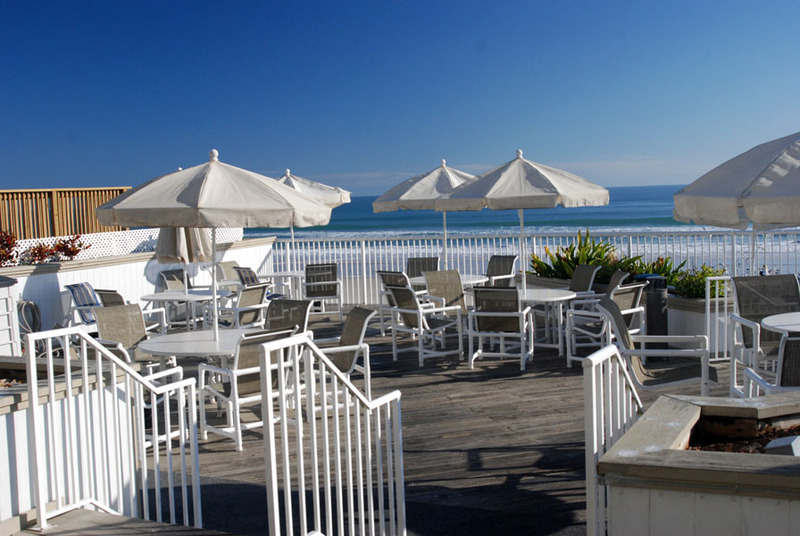 Like the Ocean Deck, it's located right next to the sand and is the only beachfront happy hour in Ormond. With 10 beers on tap, a $2.50 beer bottle every day of the week, and a happy hour that runs from 2-6 pm, it's easy to enjoy the atmosphere at this quaint surf shack. Stay connected to all the things to do in Daytona Beach by subscribing to 386area.com. It's FREE!